Had the wonderful opportunity to make these pink curtains for a sweet girls bedroom. 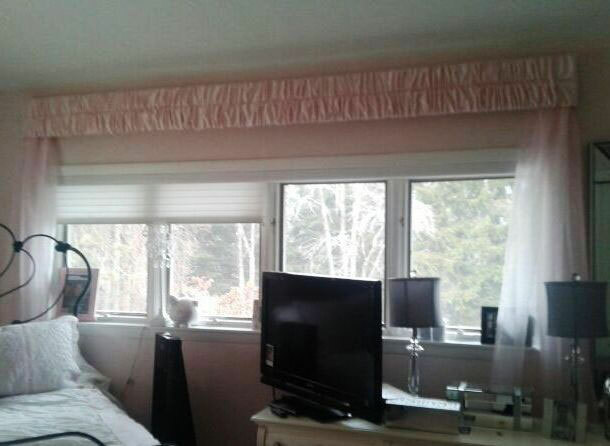 They are in a "Gathered Valance" style. 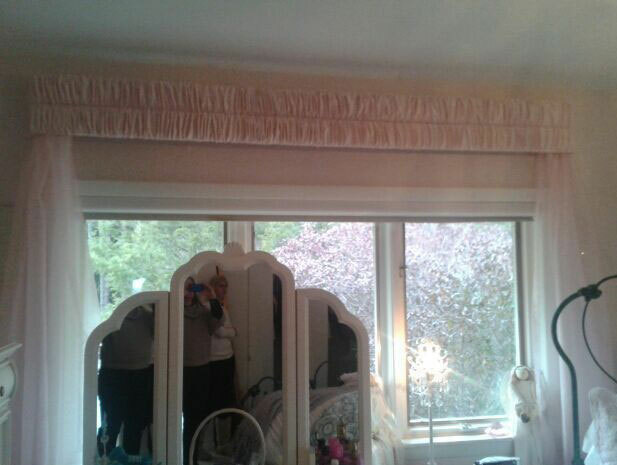 The valance is a glitter satin and the drapes on the side were a glittered organza. The side drapes were made removable for cleaning or even changing the look.